Gateway United of Abeokuta Appoints Henry Nwosu as Head Coach. The Ogun State Government, on Wednesday, handed over the reins at Gateway United FC to ex-Nigeria international Henry Nwosu. The announcement was made by the state’s Commissioner for Youth and Sports Gbenga Otenuga, during the club’s first stakeholders summit in Abeokuta. 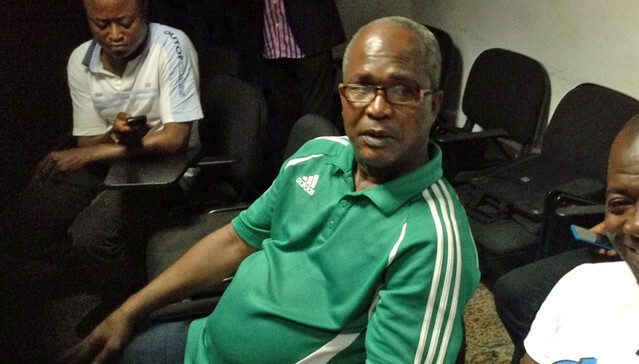 According to the Commissioner, the former Golden Eaglets coach has been charged to turn around the club’s fortune, starting with the forthcoming Nigeria Nationwide League (NNL) season. Gateway United failed to gain promotion to the Nigeria Professional Football League (NPFL) the last time ’round by just a point, which Otenuga stated has prompted the stakeholders to opt for change. Nwosu, 50, succeeds former Shooting Stars FC coach Philip Boamah, who led the club to a third-place finish in the 2012/13 NNL Group B season. “Henry Nwosu was appointed because of his personality and skills,” Chairman of the Abeokuta club’s Technical Committee, Kashimawo Laloko, said. Nwosu will be assisted by another Green Eagles star, Yisa Sofoluwe, with Abiodun Adegbenro appointed as the goalkeeper trainer. Sofoluwe played for the national team between 1983 and 1988, while Adegbenro was a member of the Flying Eagles team to Chile 1987. Messi Wants to Retire at Barcelona. Keshi Prays for the Timely Return of Dike, Omeruo and Reuben. Previous articleKeshi Explains Comments on Re-Grassed Pitch.